I have had this card for just over a year. I have not had any bad experiences with it. I did have one issue though, I booked a "Condo" at the beach. I made the mistake of "assuming" this would be a travel purchase. I tried to redeem miles for it, however it did not show up in my redeemable purchases. I contacted Capital One customer service via the chat feature. After some haggling, I was told my issue would be forwared to another department. What do you know, they went ahead and redeemed it. The moral of the story though is, check carefully before booking to make sure your purchase will be categorized as a travel purchase. I suggest using their new www.hotels.com/venture booking site, or prior to making a purchase giving customer service a chat message and confirm your purchase will be properly classified. Remember to get a transcript of the chat. Misleading Rewards!! I was baited into opening a venture one card with it's 20,000 mile reward if $1,000 is spent within 90 days. I already had a quicksilver card that I found sufficient, but I planned to travel frequently in 2019 so I decided to pay off the quicksilver and open the venture one for the extra miles. I spent $3,000 in the first two months and didn't ever see the extra miles come into the account. I called, was on hold for over 25 minutes to hear that someone would call me in 5 business days. No one called me after two weeks. I called again, a woman named veronica said she had my notes and will call me back within 24 hours. I received a call a few hours later from a 1-800 number that dropped. No call back. I called the customer service number a third time and went through all the prompts to be on hold again for 15 minutes to be told I didn't qualify because I registered with a pre-approval email and not a specific promotion. Why advertise and then not give the deal to your loyal customers? Long story short, I'm paying off the card and not returning to capital one. I’ve had this card for a year and use it pretty much for every purchase. I love the app, it’s very easy to check my balance and make payments. Only had to call customer service one time when a vendor overseas charged me twice for one product. Capital One took care of that immediately. I haven’t redeemed any of my points yet for traveling, as I haven’t had time to travel lately, but will update my review once I redeem my travel points. So far, I’m a happy customer with no complaints. Oh! And the 0% interest for the first year is awesome. It is used as a secondary card due to no credit increases so far. Ask for an increase? I have tripled my original, credit. I appreciate the no annual fee and no international transaction fee. If I'm being honest, I use this card primarily just for booking flights and secondary expenses. The rewards are alright, but not as good as my other cards. I did have my identity stolen with it once though. They sent me a text to let me know of the suspicious activity ($200 at gas stations over two days - and I have an electric car). I called and they immediately locked down my card and refunded the purchases. Welcome Bonus Reward is a sham!!!!! When applying for this card, ensure you are signing up for the welcome bonus of 20000 points. Apparently they have different promotions without the 20000 points. 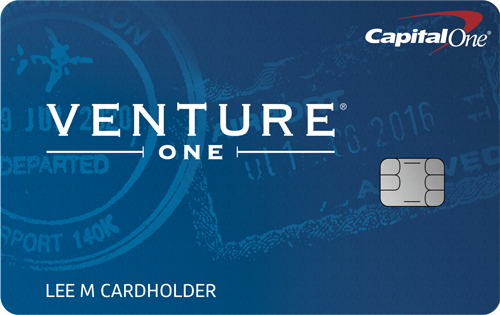 Never would have applied for this card since I have a Capital One Quicksilver card and a Chase Sapphire card. BEWARE OF WHAT YOU ARE APPLYING FOR!!!! VERY DISAPPOINTED IN THIS CARD AND FALSE PROMOTIONAL PRACTICES!!! Simple to use. Has Phone App. Love that I can check my balance from the app. So far haven't had any problems using the card. I get rewards as promised and there have been no surprises. Was given a credit limit of 2,000 only when my score was around 600. Since the last year it looks like my score has gone up to around 730 so I may look into get a higher limit amount. Is it definite possibility of getting approved for the card if you're CS is in the 600's?? Not quite sure I just applied based on what credit karma said I'd have a good chance being accepted for and it was approved. The card is decent, rewards are ****ty. They take forever to send u your rewards, I've been waiting 2 months and there's nothing they can do to speed up the process, incompetence. The reward ratio is sad to begin with then u jump through hoops. Interest is ok though. This card is just ok. The welcome bonus is nice, booking with rewards is kind of a pain. The flight inverntory was minimal. They are now allowing to you transfer you points elswhere which is nice. The customer service could be better, but it's not terrible. If you are new to rewards cards and don't spend a bunch you may like this card.